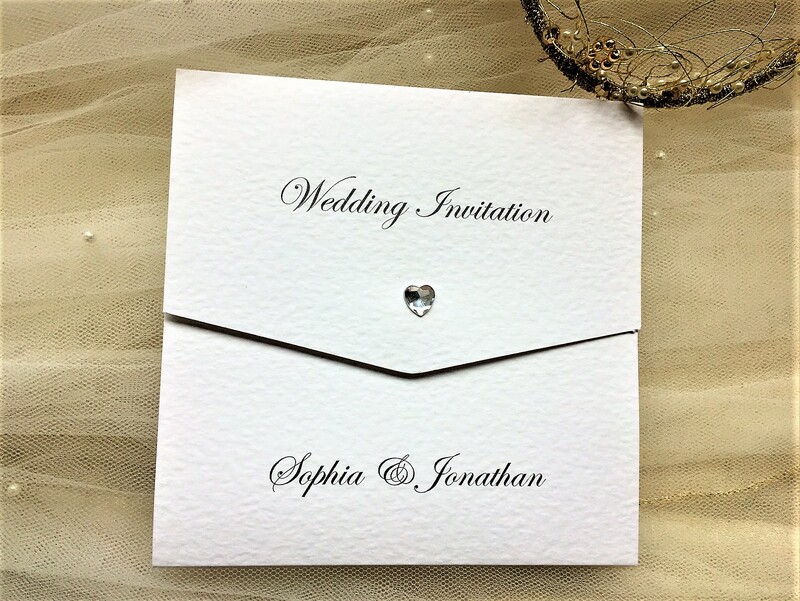 Diamante Heart Tri Fold Wedding Invitations. 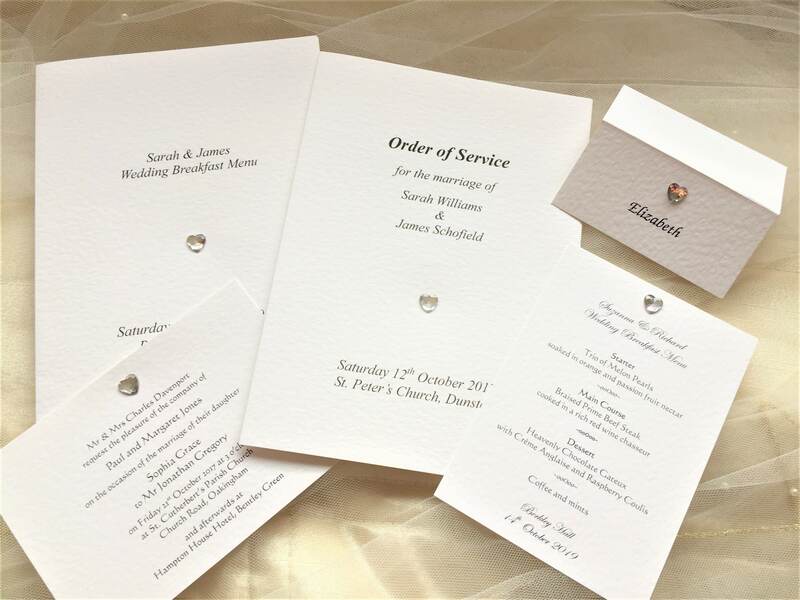 Supplied on a thick heavy weight (270gsm) hammered card and available in either white or ivory. 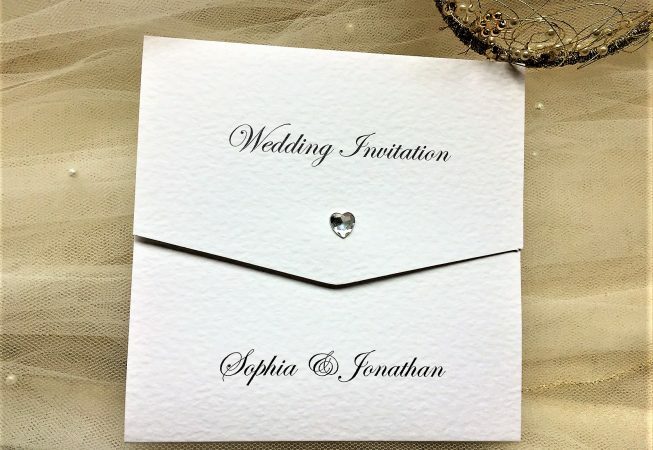 This wedding invitation design is part of our Diamante Heart Wedding Stationery Range and offers three areas for printing, top, middle and bottom panels of the invitation. 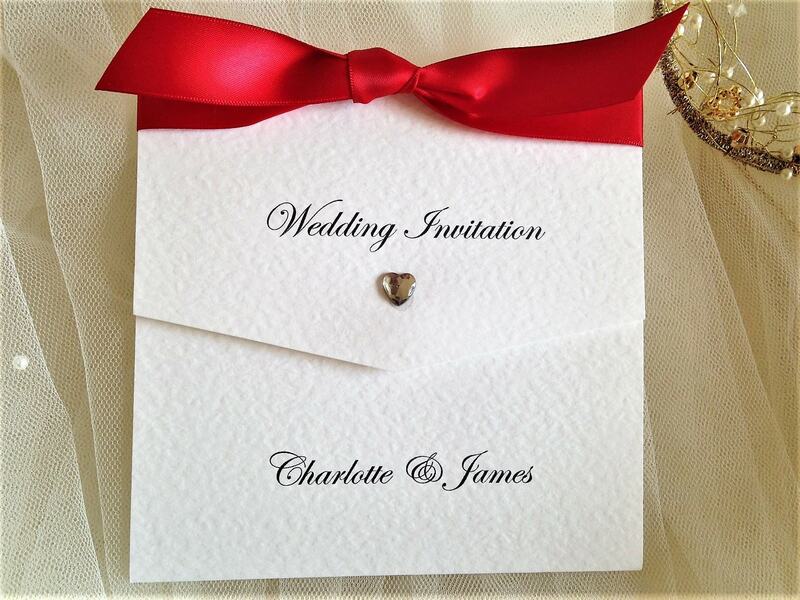 Wedding invitations are supplied with a matching hammered envelope and we can print your guests names free of charge. 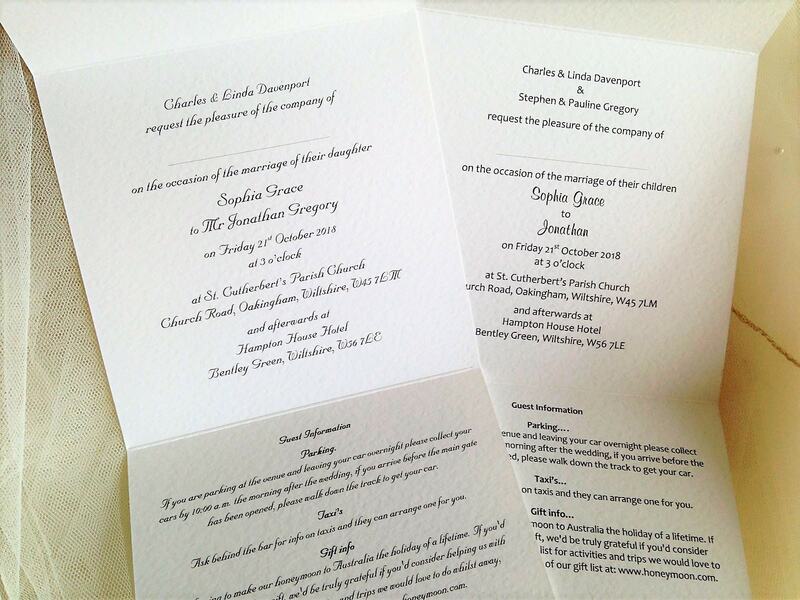 There is a good selection of font styles and ribbon colours to choose from and we can print your invites in a colour to match a scheme.